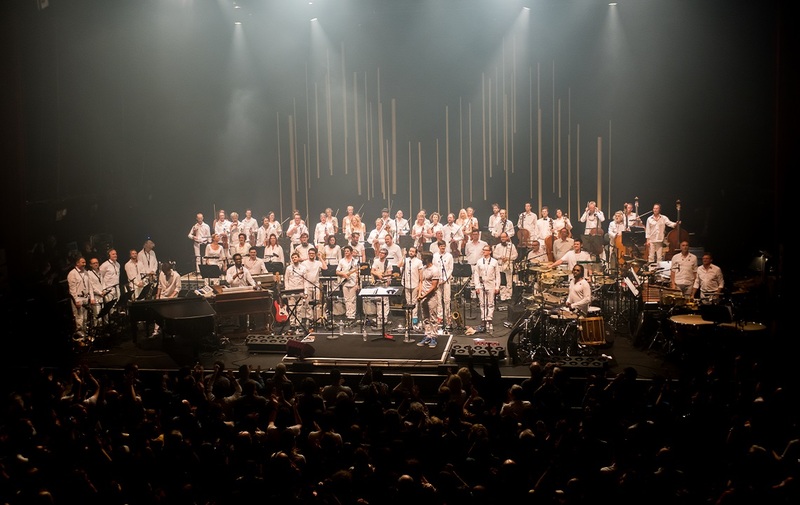 This year, Metropole Orkest will come to North Sea Jazz on both Friday and Saturday. On Friday June 13, the orchestra, conducted by Jules Buckley, will once again share the stage with Snarky Puppy. In 2014, MO and Snarky Puppy first collaborated in the Energiehuis in Dordrecht. In front of an audience they recorded the album and DVD ‘Sylva’. In 2015, the collaboration was continued in Rotterdam, Paris and Coutances during four concerts. A year later, the two ensembles met again in Rotterdam, this time for North Sea Jazz. In 2016, Metropole Orkest and Snarky Puppy won a Grammy for the album ‘Sylva’ for ‘Best Contemporary Instrumental Album’. The key to success of the album ‘Sylva’ was the chemistry between the two bandleaders: Michael League and Jules Buckley. The two guys managed to melt the two ensembles to a powerful whole. Funk, rock, cinematic and jazz; a great variety of styles will come across during the concert. During the concert on July 13, both songs from the award-winning album and new work will be played.